So what exactly is 20/20 vision? It is based on the Snellen chart which you’ve seen in about every doctor’s office on hanging on the wall. The Snellen chart displays letters of progressively smaller size starting with a large “E” on the top and each line gets smaller and smaller. “Normal” vision is 20/20. This means that the test subject sees the same line of letters at 20 feet that a normal person sees at 20 feet. 20/40 vision means that the test subject sees at 20 feet what a normal person sees at 40 feet. Another way of saying this is that a person with 20/40 vision has vision that is only half as good as normal – or, objects must be at half the normal distance for him to see them. Today’s toolbox talk is about a tool you can utilize to help you maintain good vision. This is especially true for those who work continually on computer screens and other interfaces that can cause eye strain. Jobs like data processing, data entry, computer programming, proofreading, designing and the like are particularly susceptible to eye strain due to the focus on a computer screen or other interfaces with smaller, detailed items. 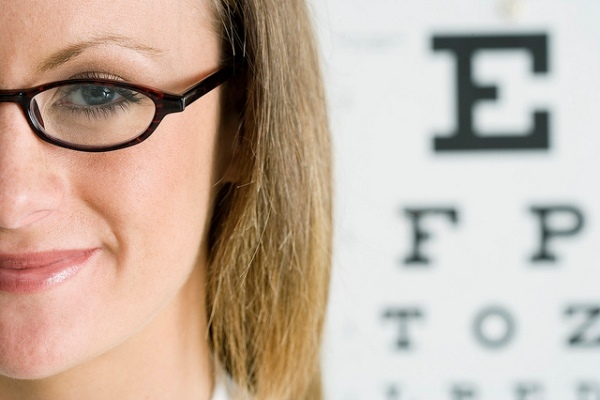 So when doing these tasks think about preserving your 20/20 vision with what is called the 20/20/20 rule. Turn your neck and move your shoulders around.